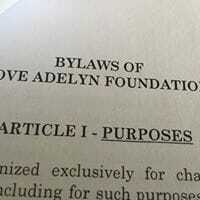 The Love Adelyn Foundation has been blessed by the generosity of so many supporters. This page tells the story of how the foundation is giving hope to little hearts. Every year we think, how can this year be better than the last?!? The love, support, and prayers our foundation and family continue to receive is amazing. Everything the foundation continues to achieve is because of our generous donors and supporters. See some of our highlights in the attachment below. 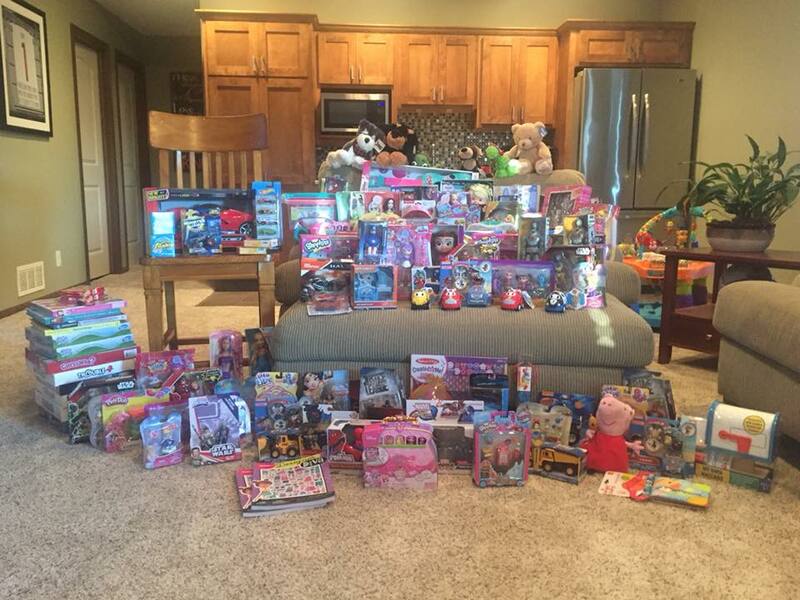 Our annual toy drive for the Rainbow House again was a HUGE success collecting over 150 toys! In December many of these toys plus pots/pans, and hats/gloves were dropped off! This year our acts of kindness initiative was rebranded a bit from what was called in years past Giving Hope by Giving Back to Kindness Matters. 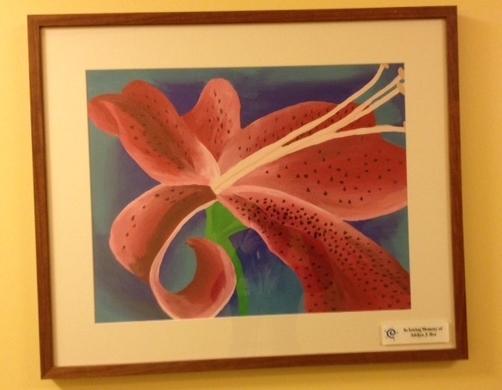 This is the 4th year we have encouraged small acts of kindness from October 22 - November 11th. These twenty days are the days Adelyn was with us and we like to honor her by giving hope. Below are a few pictures of the acts of kindness that were shared with us this year. Be sure also to become a member of our Kindness Matters group through our Love Adelyn Facebook page. On October 5th, a rainy fall day over 110 golfers gathered to help raise funds for the foundation's financial assistance programs. The day was full of memories, laughs, and generosity. Visit our golf scramble page for more information on this event! On August 11th volunteers gathered at the Copple Family YMCA for a morning of blanket making. The group made over 10 tie blankets that will be donated to local hospitals. In May and June of this year for the 4th year in a row we reached out to moms and dads to show them that we were thinking about them. 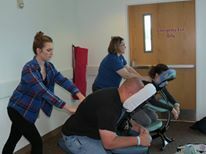 Working with two massage therapists we offered seated chair massages to moms in the NIUC and PICU at Children's Hospital on the Monday after Mother's Day. This event continues to give these moms 15 minutes of relaxation and time to care for themselves, something they do not get much of. 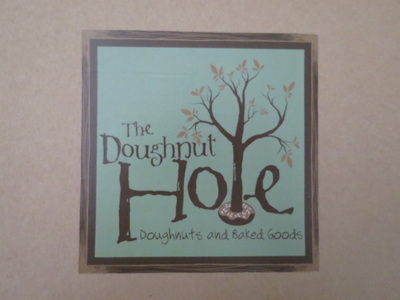 On the Monday following Father's Day with the generous donation from The Doughnut Hole we provided ten dozen donuts to the families at the Rainbow House in Omaha. A sweet treat to show we care! 2017 in Review: You did it again! This little project to honor and share Adelyn's story has become so much more than our dreams could ever have imagined. I know every non-profit says it but we believe it, our supporters - YOU - are THE BEST! Your prayers, donations, volunteer hours, and financial support helped make 2017 remarkable. Thank you for the bottom of our hearts for allowing us to give hope to little hearts! Below is 2017 in review. Through the Books for Birthdays program nearly 425 books we collected. Hosted Massage for Mothers (held at Children's Hospital) and Donuts for Dads (held at CHI Hospital and The Rainbow House). 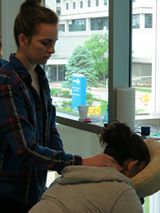 Massages were offered to moms in both the NICU and PICU at Children's Hospital. 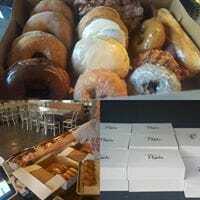 Nearly 15 dozen donuts were donated between CHI hospital and The Rainbow House. 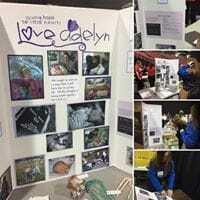 Held the Annual Giving Hope by Giving Back event with numerous acts of kindness completed in Adelyn's honor. Donated over 150 blankets to Bryan Hospital NICU and Children's Hospital. Donated pots, pans, hats, gloves, and over 100 toys to the Rainbow House. Awarded the 2nd Annual Adelyn Rea Memorial Scholarship. ​Completed our first year of our financial assistance program, selecting three families to assist. Hosted the 1st Annual Hope Fore Little Hearts Golf Scramble at Woodland Hills Golf Course, with over 80 golfers braving the wet and cold weather. From the bottom of our hearts - THANK YOU! Thank you for an amazing year. 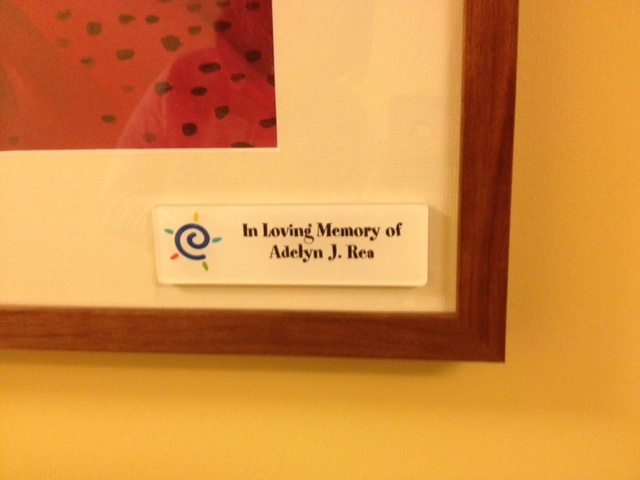 Annually toys are given to the Rainbow House in memory of Adelyn. This year a small toy drive was put together and the outcome was amazing. Over 100 toys were collected and donated to the Rainbow House. The Giving Hope by Giving Back Campaign is a twenty day event that spreads hope through small acts of kindness. Why 20 days? The event runs from Adelyn’s birthday October 22nd through November 11th when she earned her wings. 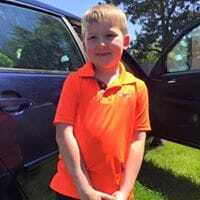 It is 20 days of kindness to honor this little angel. Once again the foundation was overwhelmed with the support this campaign received. On October 6, 2017, over 80 golfers faced the rain and the course for the 1st Annual Hope Fore Little Hearts Golf Scramble. The tournament was held at the beautiful five-start rated Woodland Hills Golf Course in Eagle, NE. The day was a huge success raising close to $3000 for the foundations financial assistance program! ​Click here for more information for next year's tournament! In July we kicked off our Give Hope Campaign, the foundation's primary fundraiser for 2017. With a goal to raise $3000 the foundation reached out to business and personal supporters to help us give hope to little hearts. The campaign was a huge success bringing in over $3300 in funds! This does not make up our entire budget but helps cover the cost of big items, such as: Massage for Mothers, Donuts for Dads, Adelyn Josephine Rea Memorial Scholarship, 100 blankets, and 100 activity packets. Please take a look on our home page to recognize our 2017 business supporters. On June 19th we held our 3rd Annual Donuts for Dad's event. Partnering with The Doughnut Hole again this year we delivered nine dozen donuts to the Carolyn Scott Rainbow House and four dozen to the NICU and pediatric area at CHI Hospital. Just a little token to tell those dads they are special! We also took the opportunity while in Omaha to drop off some donations. 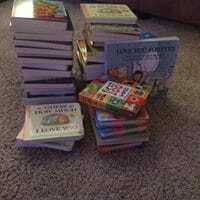 Over 150 books were donated to Children's Hospital. All of these books come from our Books for Birthdays program! We also delivered approximately 35 adorable activity packets to the Rainbow House. We touched over 200 families todays!! On Monday, May 15th, we sponsored the 3rd Annual Massage for Mother's Event at Children's Hospital. With the help of Children's Hospital and our massage therapists, Natalie George and Lora Van Etten, we pulled off another successful event! 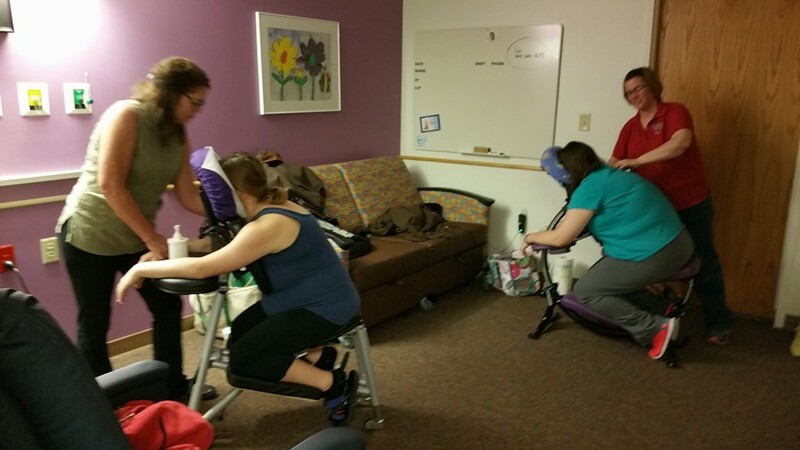 Moms with kiddos in the NICU and PICU at Children's Hospital were treated to 20 minutes seated chair massages as our treat to them! These moms often times put their well being last on the list and we wanted to remind them how special they are! This year has started off just as previous years - with fun and excitement! The response to Books for Birthdays has been nothing short of amazing and over 100 books have already been collected! 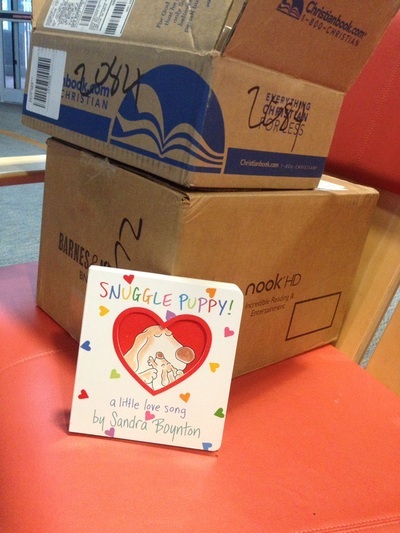 Those books are tagged and ready to be delivered the next time we head to Children's Hospital! We had the opportunity to share our story and spread the power of hope to students attending the FCCLA Peer Education Retreat in Kearney. Offering six sessions to hundreds of students will definitely be a highlight of the year. ​There is a lot of work happening behinds the scenes preparing for the 2017 Give Hope Campaign (our annual fundraiser) and a new venture providing some educational materials on our website for grieving parents. ​Much more to come in 2017! Love Adelyn continues to be blessed and our appreciation cannot be adequately expressed in words. In 2016 the generosity of our loyal and new supporters helped us reach our goals. Below is a recap of what we accomplished in this wonderful year. Donated nearly 200 books, 70 blankets, 60 hats, 100 patient packets, and numerous boxes of crafting supplies to Children’s Hospital in Omaha. 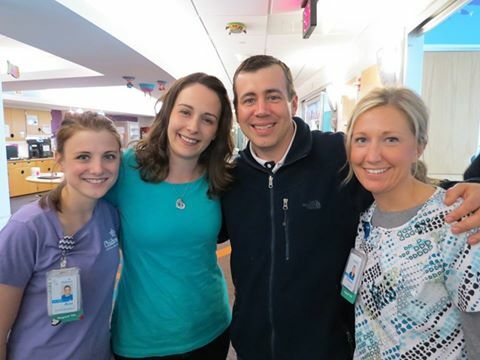 Hosted Massage for Mothers and Donuts for Dads at Children’s Hospital. Expanding this year to include moms in the NICU and PICU for massages and donuts were provided for every area of the hospital. 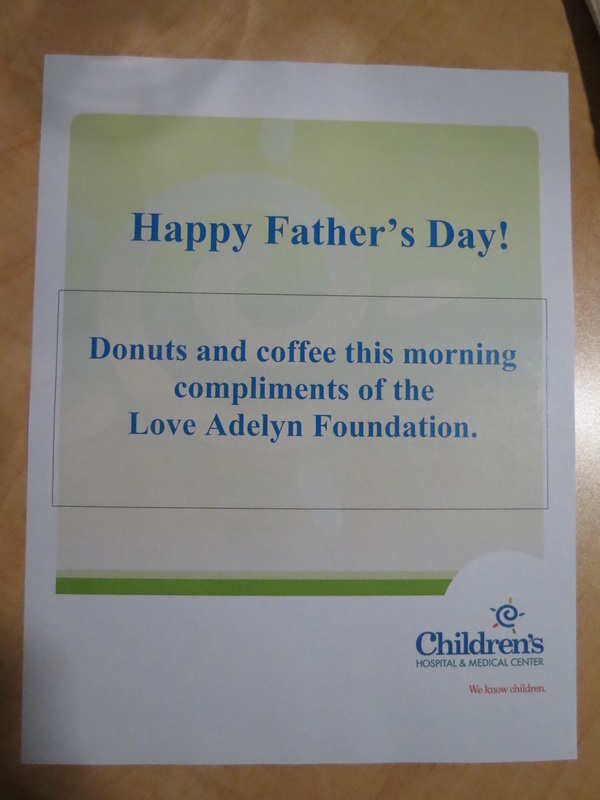 Held the 2nd Annual Giving Hope by Giving Back event with numerous acts of kindness completed in Adelyn's honor. Donated over 100 blankets to Bryan Hospital NICU and CHI (St. Elizabeth’s) Hospital NICU. Provided a dinner to the families staying at the Rainbow House in Omaha. Awarded the First Annual Adelyn Rea Memorial Scholarship. 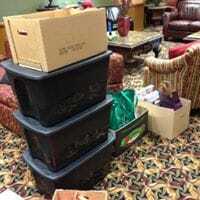 Donated approximately 20 board games and 25 individual packaged toys to the Rainbow House. Below are a few pictures of this years highlights! 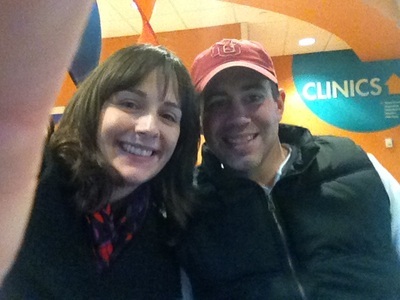 ​We thank you for your continued support, generosity, and prayers. Together we are giving hope to little hearts! It has been awhile since we have had the chance to make it to Omaha to drop off donations! We were so excited to be able to drop off over 40 blankets, 60 books, 3 boxes of crafting supplies, and 100 patient packets to Children's Hospital. We also were excited to provide dinner to The Rainbow House in the evening. Our 2nd Annual Giving Hope by Giving Back event was a big success! 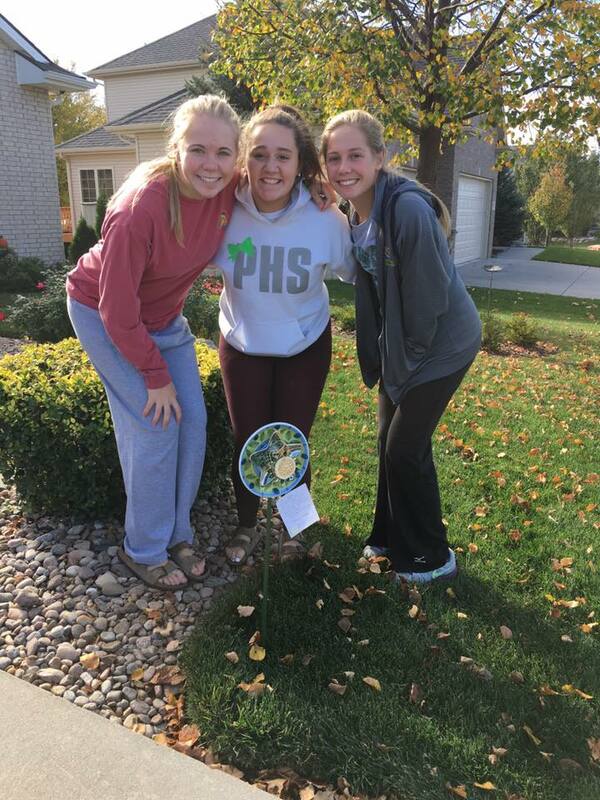 For twenty days (October 22nd - November 11th) supporters are encouraged to perform a random act of kindess in Adelyn's memory. During this time we receive so many messages about amazing acts of kindess. Below are pictures of a few. We were excited to offer for the second year in a row special little treats for moms and dads during Mother's Day and Father's Day. This year was extra special because we were able to expand each event. ​Our Massage for Mothers event took place the Monday after Mother's Day. This year we offered the massages to moms with kiddos in the NICU and PICU. This was all possible because of the amazing support of our Love Adelyn friends. 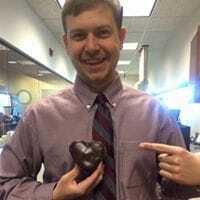 ​Donuts for Dads was offered the Monday after Father's Day. This year we expanded it to the entire hospital, delivering 15 dozen donuts. We know the dads enjoyed the yummy donuts!!! February 2016: An Amazing Start to the Year!! February was truly an AMAZING month. I don’t think it is a coincidence that we had such an outpouring of support during heart month! I have to believe our little Miss Adelyn had a hand in it all. Our Have a Heart Campaign was a fun way to build CHD awareness. 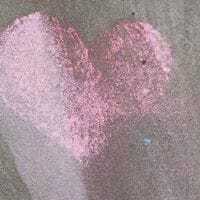 All month long heart pictures filled our Facebook page and each time we received one it warmed our heart. We fell short of our goal but are still very excited with the results. We had 65 pictures posted. 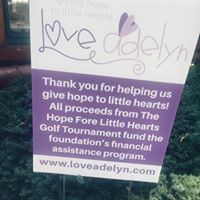 We will be donating $100 to the Children’s heart program in Adelyn’s memory. 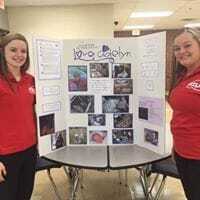 Family, Career, and Community Leaders of America (FCCLA) held their Peer Education Retreat in Kearney and the supporting schools brought their activity packet supplies to the conference. 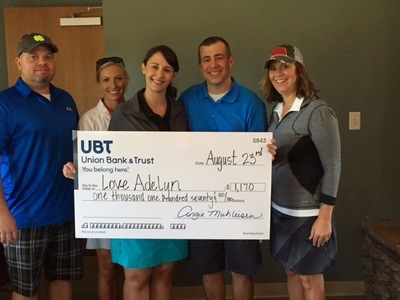 Earlier this year Love Adelyn was selected as the statewide outreach project. The FCCLA students, advisers, and their communities donated 1450 items for activity packets. Union Bank’s Young Professionals Group honored Adelyn’s memory and helped spread some Valentine’s Day cheer by delivering 400 love bundles. 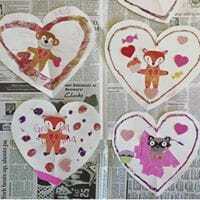 These love bundles were filled with a handmade valentine, a love charm, and candy. 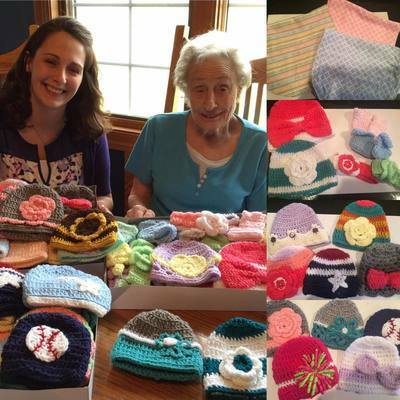 The love bundles were delivered throughout Lincoln at various hospitals, non-profits, and senior living centers. 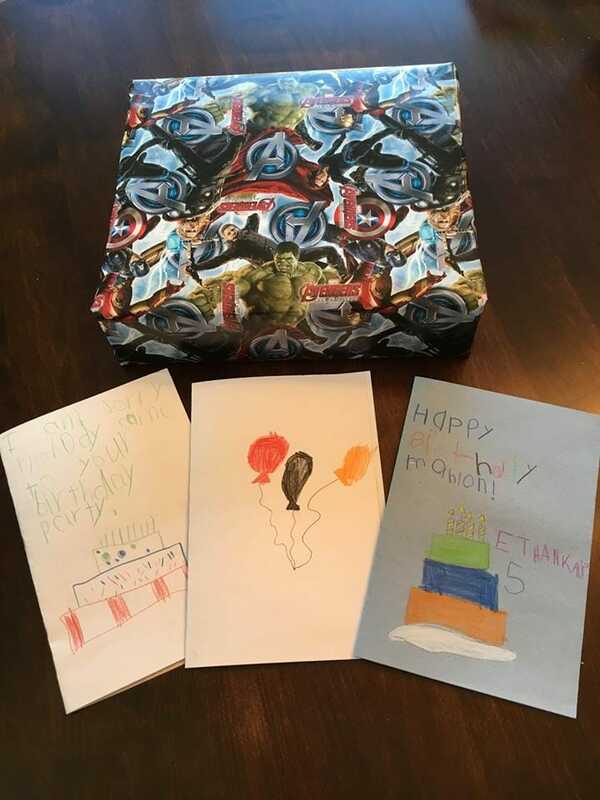 Our Books for Birthday’s campaign is off to a great start! We received a very generous book donation from the Kelly family. 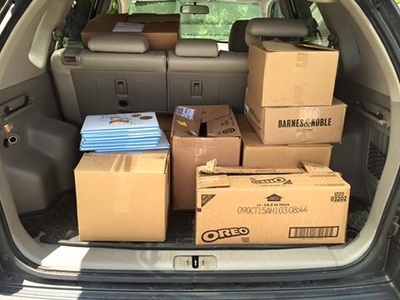 They donated 50 children’s books in memory of their daughter Emersyn. Year to date we have collected 63 books. With the help of friends and neighbors we collected 35 pair of kid’s shoes for the Shoes for Miles drive. Amelia and the neighborhood girls got together and made 99 valentines for the CHD Card Party. 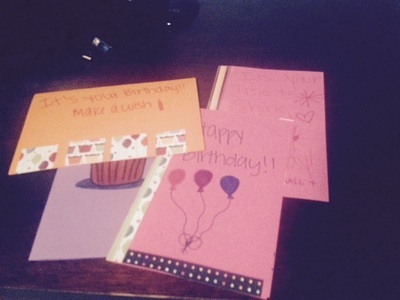 These cards I know brought smiles to heart kids at Children’s Hospital. We received over 40 homemade blankets to donate to Children’s and local hospitals. 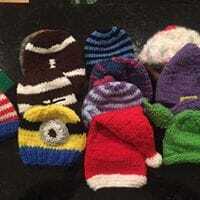 A special thanks to my mom for making 20 of these and to the Overton High School Textiles class for donating 8. 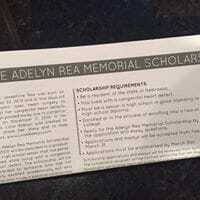 We announced our annual Adelyn Rea Memorial Scholarship. With the help of many friends and Education Quest the word is out about the scholarship! 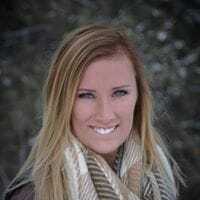 Just google her name and you will see several postings about it. Makes my heart melt! Hope is such a powerful word and means something different to so many people. Hope for a bright and healthy future is what we had during our pregnancy and during Adelyn’s 20 days with us. Hope of one day seeing her again is what helps us get out of bed each morning. Hope that her story and memory can be carried on by acts of kindness and generosity is what inspired us to start Love Adelyn. We had no expectations and jumped in blind when we started Love Adelyn. Our initial goal was to have 500 followers by the end of the year and we reached that within the first few weeks. That really summarizes how our entire year went. We were always being surprised with donations, contributions, and amazing messages from our supporters. Love Adelyn was designed to “Give Hope to Little Hearts” and we did that to so many in 2015. 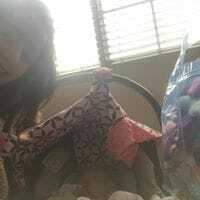 Love Adelyn was designed to give hope to other but we strongly feel we received more than we gave. Your support gave us hope to not only survive this journey but to thrive and that gift has no value. We cannot thank each and every one of you enough for your love and support! Click here to see a short video about our year in review. We apologize if you see a quick ad before the video. Our First Annual Giving Hope by Giving Back Event was a huge success with over 100 random acts of kindness taking place. We are so thankful for all of our supporters. 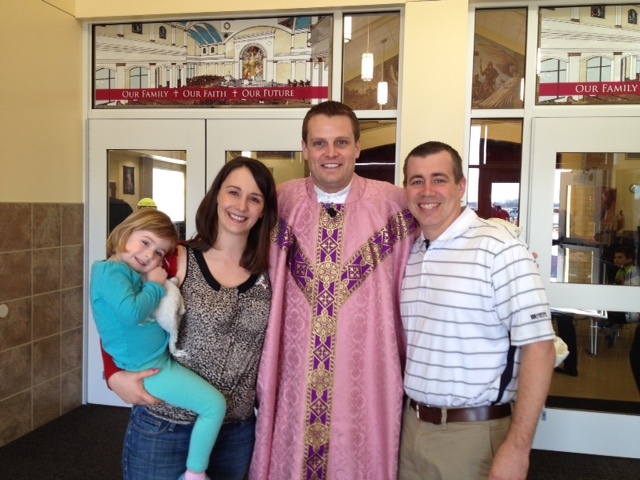 This event helped us cope through a difficult time and once again Adelyn's spirit spread hope! Below is a summary of the event and some fun pictures from it! This twenty day event spreads hope through small acts of kindness. Why 20 days? The event runs from Adelyn’s birthday October 22nd through November 11th when she earned her wings. It is 20 days of kindness to honor our little angel. During this time join us in celebrating her life by performing a small act of kindness. If possible the goal is that this is done as a family. 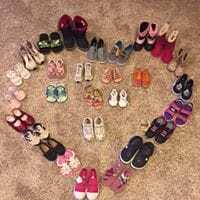 We love seeing how children have paid it forward and supported Love Adelyn and we want to continue that with this drive. You have twenty days to perform your act of kindness! What kind of acts of kindness are we looking for – ANY. Have fun, get creative, and help us spread hope! September was a busy month as we kicked off our annual Facebook Follower Drive. Our goal was to add 500 new followers to our Facebook page and we were donating $1 for every like to the Rainbow House in Omaha. Even though we did not reach our goal we added nearly 250 followers and we loved making that $250 donation to such a wonderful place!!! In October we loaded our van and headed to Omaha with some donations and it was full!!! We were excited to drop off our 100 patient packets along with 27 blankets, 125 children's books, and 15 books/stuffed animals. 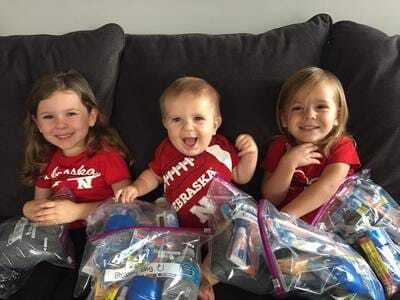 The patients packets were made possible by our Love Adelyn supporters as we raised $1500 for this project and it allowed us to stuff 100 packets full of activities for kids! We were excited once again to send 15 books and stuffed animals with Dr. Hammel and the Children's team to Los Cabos where they will be performing open heart surgeries. July and August may have seemed like quiet months for Love Adelyn because we did not host any events like May and June. However, it was BUSY!!! 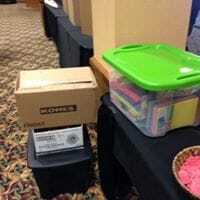 We were crazy busy behind the scenes gathering supplies and putting together craft kits for our 100 patient packets. We are hoping to have them finalized and delivered to Children's sometime in September or October. Books for Birthdays continues to be a huge success and we collected over 30 books, bringing our YTD total to 380 books. We were able to drop off 150 books to Children's in July along with our 70 Love from a Star books! In August Union Bank hosted an employee golf tournament and Love Adelyn received all of the proceeds from the mulligan sales. At the event Cowhorn Pepper Company also sold their spices and all proceeds were donated to Love Adelyn from those sales. The golf tournament raised nearly $1200 and we received a $200 donation from Cowhorn Pepper Company!!! The support we continue to receive is amazing!!! 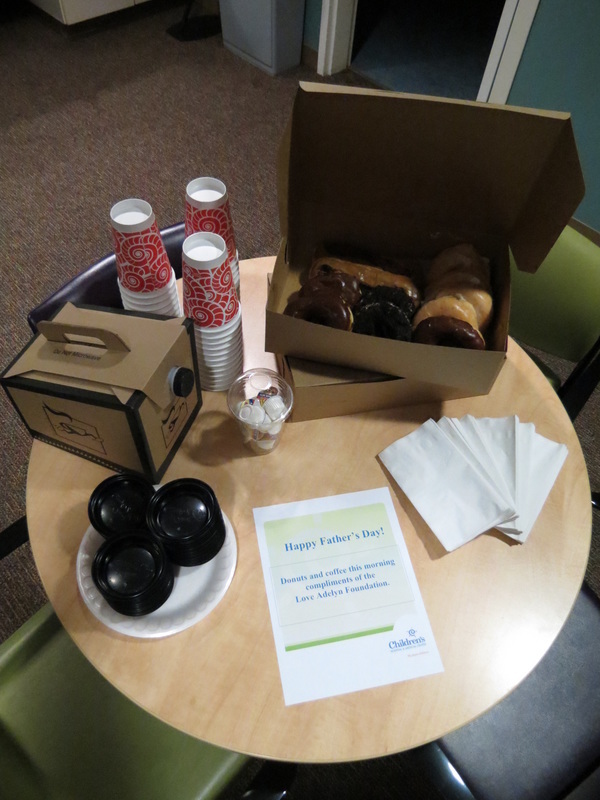 June was a fun month as we hosted our Donuts for Dads event the Friday before Father's Day. We provided 7 dozen amazing donuts and coffee from The Doughnut Hole to dads in the Children's NICU and PICU. Word is they went over very well! We received 48 more books from our Books for Birthday drive. Our YTD total is nearing 350 books! We will be making a round of book drops in July and will post pictures! In June we kicked off and closed our Patient Packet Drive! Our goal was to raise $1500 to be able to put together 100 activity packets for the sick kiddos at Children's. We anticipated it would take us 3 months to raise these funds and we did in in less than 30 days! 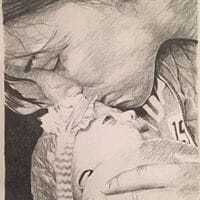 Our baby girl may be gone but because of the help of all of our amazing supporters she lives on in BIG ways!!! Cheers to giving hope to little hearts! May 2015: An aMAYzing Month! May was a truly remarkable month! For Mother's Day we hosted our first event of the year! 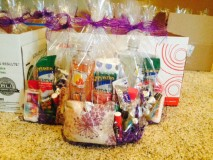 We provided every mom with a sick child in the NICU or PICU at Children's Hospital with a Mother's Day gift. One of the first times I was glad we own a minivan because it took the entire van to get them to Omaha! May was also a busy month for doctors and nurses at Children's as they traveled to Mexico to perform heart surgeries on 12 heart heroes. 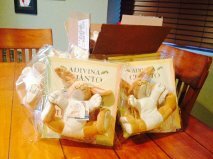 Love Adelyn sent along books and bunnies for each patient. 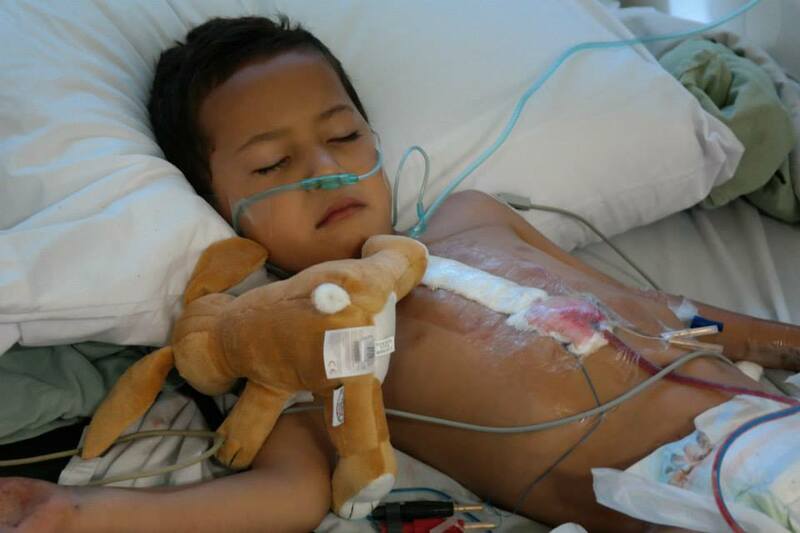 We loved the picture of Kevin (age 4) that Los Cabos Children's Foundation posted!!! Books for Birthday's had another great month receiving 142 books! We now have reached over 300 books for the year!!! Together we continue to give hope to little hearts! ﻿Our Love from a Star Book Drive and was WILDLY successful with enough donations to purchase 60 of these books! We will post pictures when we drop them off at Children’s! We received 55 books for Books for Birthday bringing our year to date total to 154!!! A big thank you to the following for donating books during the month: Charlotte Andrews, Ann Mann, Elgin Pope John Honor Society and St. Boniface Elementary School, Kay Schultz, Jenny Olson, Steve & Carol Rea, and Katie and Anthony Davis! We also reached 750 followers – adding exactly 50 for the month! 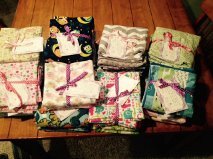 ~ 18 blankets – Thank you to Dicki Rea, Cheryl Lofing, Doris Schaaf, and Kathy Klammer. 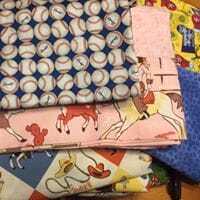 ~ Charlotte Andrews donated A LOT of fabric and ribbon so we can make more taggie blankets!! 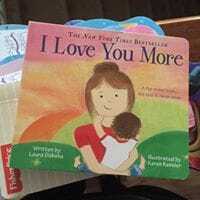 ~ 12 “Do You Know How Much I Love You” books and stuffed animals to Dr. Hammel’s Los Cabos mission. March 2015: Giving ﻿﻿hope to ﻿﻿little hearts - our goal, our mission, and our purpose. We reached over 700 followers to our Facebook page! Our goal was originally 500 but we passed that the first month. We are now aiming for 1000. We can do it with your help! We now have well over 100 books collected for Books for Birthdays. A big thank you to the following for donating this month: Cameron and Annie Guenzel, Jan Stamper, Kelly Robare, and Becky Rezabek! We know others have donated to our families and we will add those to the list when we receive them! 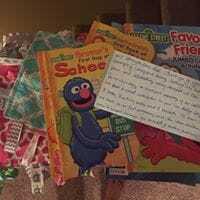 We received our first four Love from a Star Book donations from Macala Hoffschneider and Carrie Hansen– even before our drive began! Our Mother’s Day Packet fundraising went VERY well! 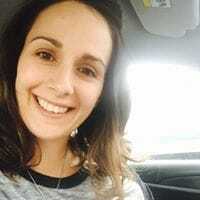 A special thank you to Katie Schaaf for hosting the Jamberry Fundraiser that earned over $250 for this drive! Combine that with our 10+ Scentsy sales in March and we earned around $350 total for this drive!!! ﻿February 2015: ﻿Gen﻿﻿erosit﻿﻿y - Giving what we have so others feel God’s love. I am so EXCITED to share the following list of things we accomplished during the month of February! We received 30 handmade hats that ﻿﻿will ﻿﻿﻿﻿﻿be﻿﻿ donated ﻿﻿﻿﻿﻿to the Children’s Hospital NICU. We received a BUNCH of flannel fabric from a supporter. We will be making blankets for the children in Children’s PICU with this material! We will post pictures when they are done!!! 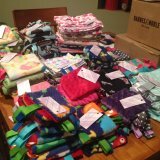 We donated the 30 blankets that we made in January to Bryan Hospital NICU. 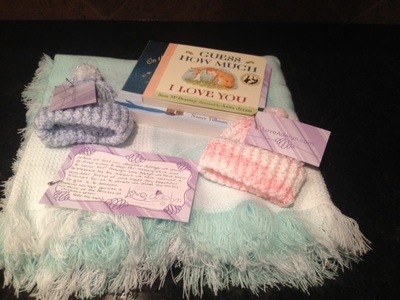 We received 5 beautiful handmade blankets that were donated to Bryan NICU and Children’s Hospital. We received 89 books for Books for Birthdays. We dropped off our first round of 55 books to Children's in March! 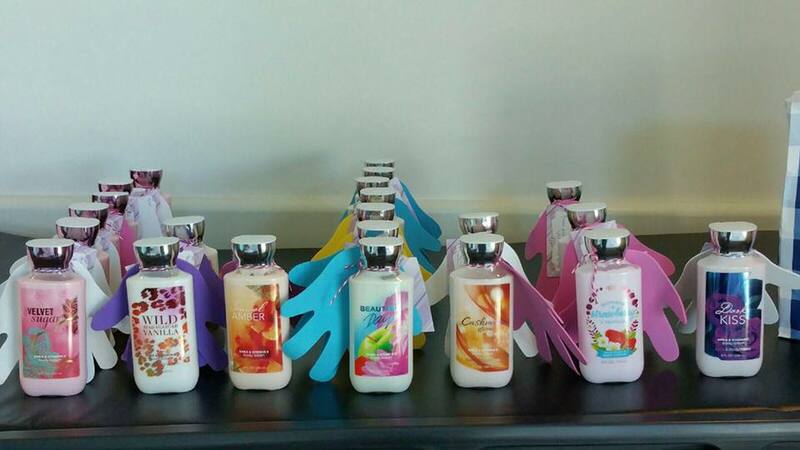 We generated $60 from 10 Scentsy sales. All of these proceeds will go towards our Mother’s Day Packets. 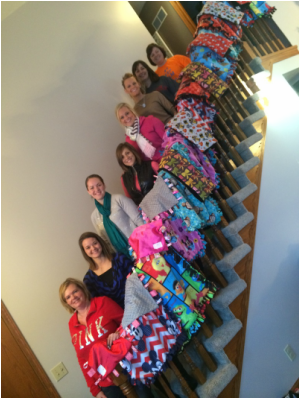 A group of friends, mostly from where ﻿﻿we work﻿﻿, got together and made blankets for Bryan NICU patients. We made a total of 30 blankets in one afternoon! What a wonderful group of friends!!! Shannon, my sister, organized a pay it forward event and challenged people to pay it forward during the holiday season in honor of Adelyn. Once again we were overwhelmed by the response. Below is a list of some of the ways people paid it forward in honor of Adelyn. Bought toys, clothing items, and food to donate to shelters and families in need. Purchased stranger's meals, coffee, and grocery items. Spent extra time helping out loved ones. Donated money and time to local and national charities including: Fire Department Caring Bridge, and Make a Wish to name a few. A family in need was identified and a group paid their mortgage payment for the month and purchased Christmas presents for the family. Adelyn is now a member of the Tiny Super Hero Club and received a special cape. Amelia received a special cape as well as her sidekick! 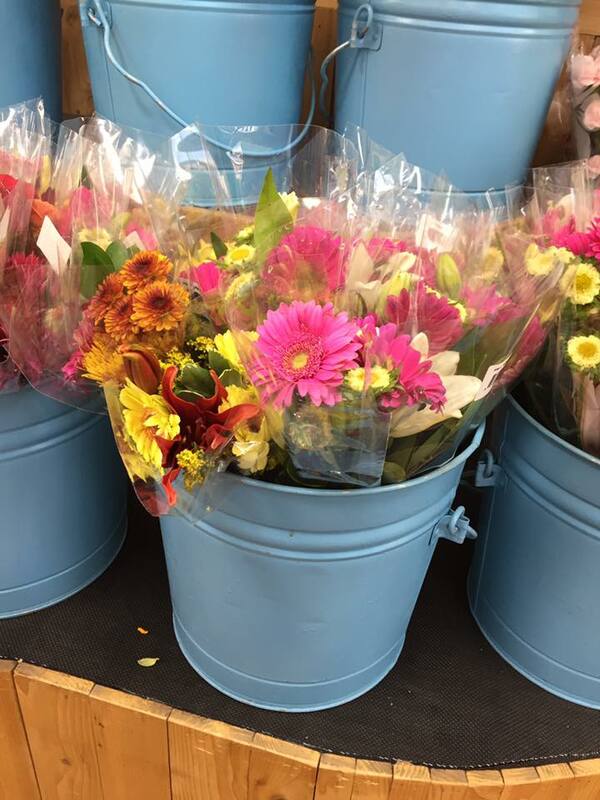 Flowers and other decorations purchased to decorate several churches. 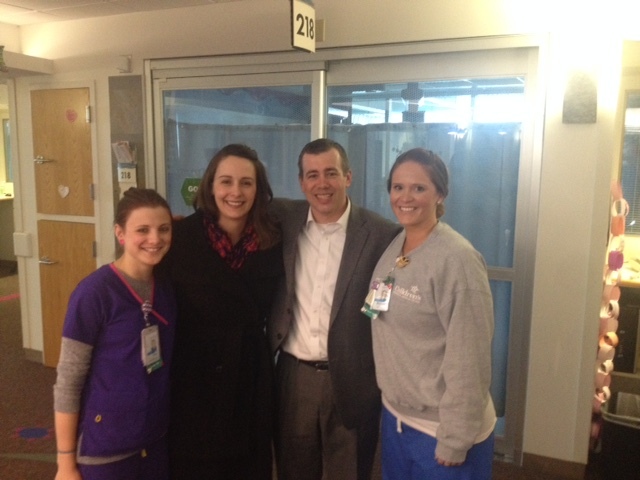 Lunch catered in for the PICU doctors and nurses on Christmas Eve and a special toy delivered to room 210 in the PICU. Giftcard for us to purchase books and other items to pay it forward. Candy canes were placed on 145 cars in Lincoln with a tag that read, "Spreading her love around the world, so her presence remains and so she is remembered!" 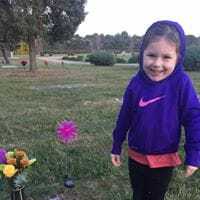 This Random act of kindness done in memory of Adelyn Josephine." Since we were not buying Adelyn Christmas presents this year we bought 55 books for the NICU and PICU children at Children's for Christmas time. It warmed our hearts to drop them off! With memorial funds we were able to do the following in December! 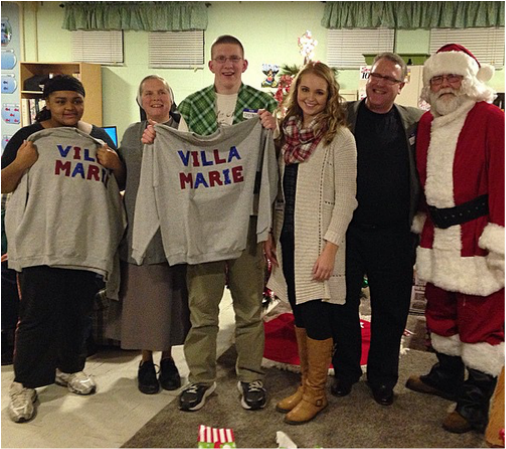 Hayley (Adelyn's cousin) made and donated 12 sweatshirts to Villa Marie in memory of Adelyn.